Father-and-son racers Stephen and Brenton Grove will this weekend represent Australia at the inaugural FIA GT Nations Cup at the Bahrain International Circuit, racing a Porsche 911 GT3 R in an 18-strong GT3 field. The duo has teamed with German racing operation Herberth Motorsport for the unique GT event, which sees each entry represent a different country and every two-driver combination comprising of both a Silver-ranked and Bronze-ranked racer. 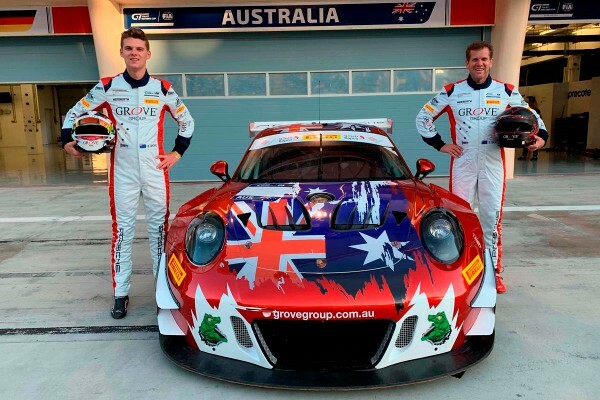 Brenton Grove enters the GT Nations Cup as the Silver driver in the Australian #911 entry, bringing significant Porsche experience to the Bahrain event having previous experience in both GT3 Cup Challenge and Carrera Cup championships in Australia. Meanwhile, the Bronze-ranked Stephen Grove looks to continue the success he experienced in the 2018 Porsche Wilson Security Carrera Cup Australia season; the Melbourne businessman secured his third TAG Heuer Pro-Am title at the Carrera Cup season finale at the Gold Coast 600 last month. While Grove has vast experience at the wheel of a Porsche, he looks forward to the new challenges presented by the GT Nations Cup. “It’s something quite special to pair up with Brenton and represent Australia at a world class event like the GT Nations Cup,” said Stephen. “While we will be gunning for a good result, it’s also something you’ve got to enjoy and we’ll certainly learn from working with the Herberth Motorsport team. “It’s great to contest the event with Porsche. For us, it was the only option. I’m going from a 911 GT3 Cup car in Carrera Cup to a 911 GT3 R. While there are differences, they are still related. I’ve actually never raced a 911 GT3 R, or any other GT3 car for that matter. There are certain things I am getting my head around – the buttons and knobs within the car – so I’m as prepared as possible leading into the event as we have had no test days. A week after concluding his 2018 season of the Super2 Series, Brenton now looks forward to returning to racing a Porsche following his full-time 2017 Porsche Michelin GT3 Cup Challenge Australia campaign, two Carrera Cup rounds and the 2018 Bathurst 12 Hour, which he was the Class B winner alongside his father Stephen, Ben Barker and Dan Gaunt. “I can’t wait, I’m so excited for the event. For us it will be our first time in a GT3 car so I’m really looking forward to getting behind the wheel and flying the flag for Australia,” said Brenton. The inaugural FIA GT Nations Cup is the headline act for the SRO Motorsports Group-organised Bahrain GT Festival, with each GT Nations Cup race entry representing their country for national glory. Each two-driver team will comprise one Silver and one Bronze driver representing their home nation, with a maximum of one car entered per country. Cars can be entered by any team, regardless of nationality, with teams allowed to enter cars for multiple nations. 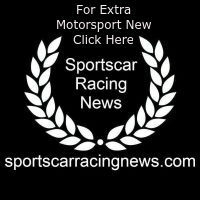 The FIA GT Nations Cup is run to GT3 regulations. Two qualifying sessions will set the grid for a pair of 60-minute qualifying races – the first on Friday, the second on Saturday – which in turn decide the grid for a 60-minute main race on Saturday afternoon. The winning drivers from the main 60-minute race and their country will be crowned as champions. Countries represented in the FIA GT Nations Cup include Argentina, Australia, Belarus, Belgium, China, Denmark, France, Germany, Hong Kong, Italy, Japan, Mexico, Malaysia, Russia, Sweden, Thailand, Turkey and United Kingdom.